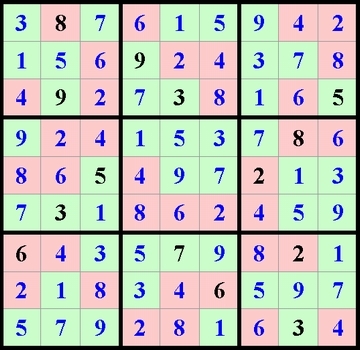 The following is the solution to last month's Sudoku challenger. Sorilea, Tomz, BadBadtzMaru, Etsuko, Inferno, Saelle, Mij, Cdg. A dice roll was made (with an eight-sided die), and it has been determined that Tomz is the winner of the 25 passdoor potions. Congratulations!